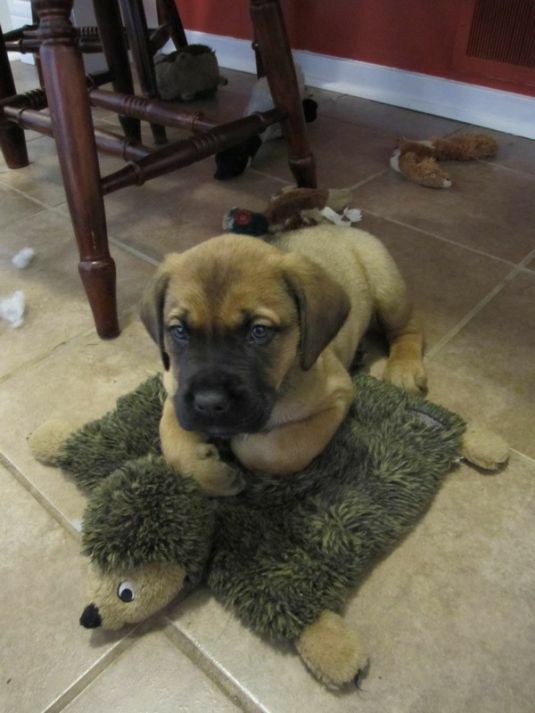 While Mastiffs are some of the largest dogs out there, they are also some of the cutest as puppies. 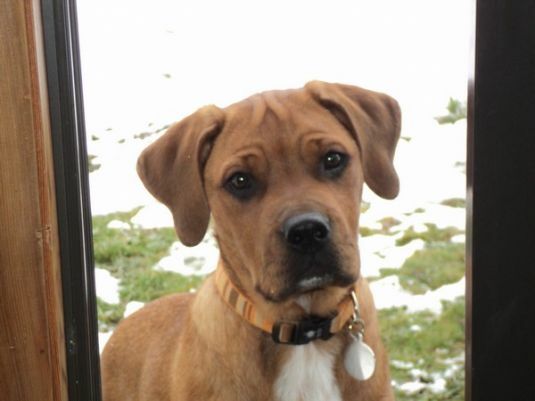 Mastiff puppies grow to be very large, weighing as much as 200 pounds. Their immense size means that they will require a large amount of space to live happily. Their straight coat requires little grooming, but they are very difficult to train. They are very gentle for their size and are very protective of their family. 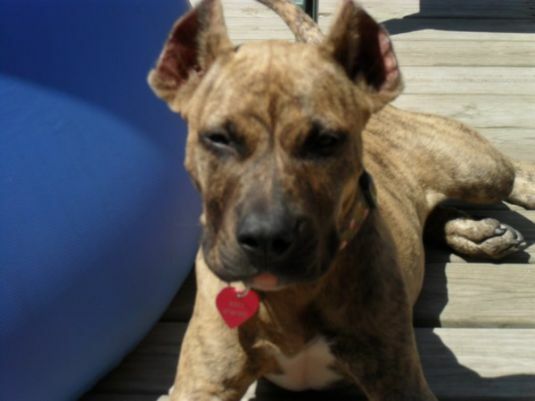 Mastiffs will quickly become a key member of the family if properly feed and excised. 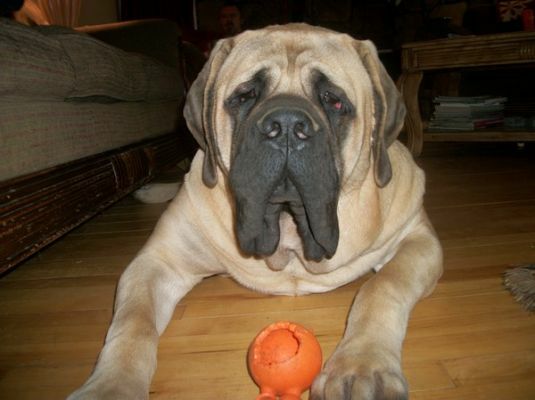 Visit DogBreeds.net to learn more about Mastiffs.